It’s how it’s said | The Washington Post says it this way. FOX News | This way. Council meeting notes | The meeting began promptly at 7:00 pm last evening as all the councillors, the borough manager, the mayor and several other borough key staffers and just over 24 others — consultants, vested participants, two local media sources and citizens — were on hand for the meeting. Council President Kelly Murphy dived into the 146-page meeting agenda and related documents and subsequent presentations, discussions, questions and meeting participant impressions continued until the meeting was adjourned at 10:22 pm. The gallery participants dwindled to fewer than 10 at the adjournment. 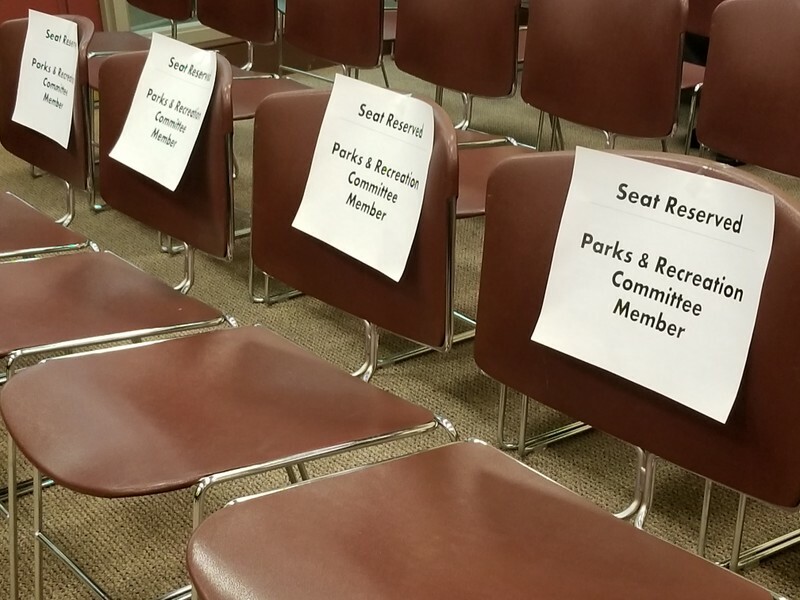 Reserved seating | Seating was reserved for members of Columbia’s Parks and Recreation Committee’s Advisory Board as representatives from YSM Landscape Artists unveiled proposed plans for three parks in Columbia: Jansens Park • Rotary Park and Makle Park. Politicians ♥ grants | So do consultants. One of the consultants at last night’s meeting said there are grants that will largely pay to have a paid “parks and rec” staffer orchestrate Columbia’s parks programs. There are grants presented by the state; but grants are not sustainable. At some point, everyone has to pay to play. Finance committee | Financial reports (including easier to read and understand display of data) and open discussion about a request for funding reconsideration from Columbia Life Network. Personnel committee | Proposal for the conduct of meeting and for elected public servants. Legislation committee | Lots of discussion about short-term rentals, junked vehicles; drones and recreational marijuana. Community Development | There was discussion about the borough’s moving forward on video recording and streaming and on-demand council meetings. The borough has a facebook page ready to go, but is awaiting final determination and approval of a social media policy. Borough Manager Rebecca Denlinger distributed a copy of the proposed policy. It’s similar to the Commonwealth’s policy. Found some | In our search for small towns and boroughs with “revolving loan fund programs” we found a few more. While it’s quite common for states and counties to offer incentive programs like the revolving loan fund program, few smaller municipalities do. Plenty more | reports from yesterday at the CrimeWatch page. Previous Borough invites citizens to come to tonight’s Council meeting.